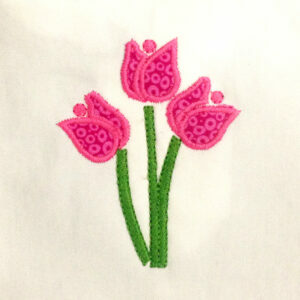 Modern tulip applique and filled embroidery designs. 7different sizes and versions. The perfect tulips for spring.